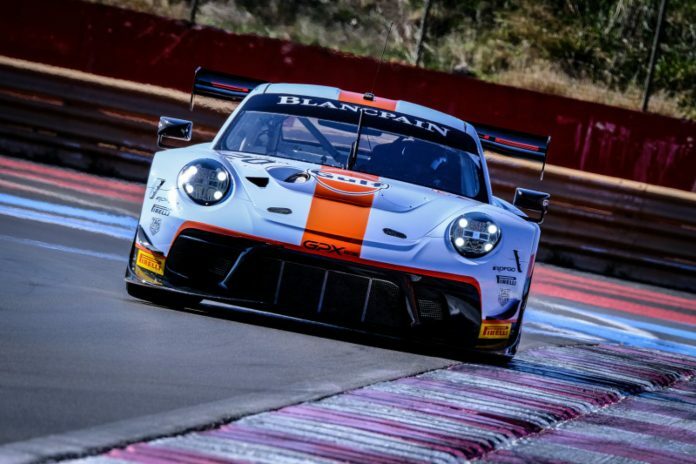 GPX Racing has revealed the full line-up for its maiden assault on the Blancpain GT Series Endurance Cup, which will see the Dubai-based squad take on Europe’s leading competitors with a Porsche 911 GT3 R.
Carrying the iconic Guf livery, the team’s #20 car will contest the Silver Cup this season. 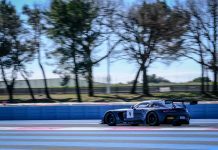 It was present for last week’s official test at Circuit Paul Ricard (13/14 March), where the full GPX crew was able to log vital laps ahead of the new campaign. The driving talent will be led by Stuart Hall, who will launch his first full assault on the Endurance Cup following outings in 2012 and 2013. The Brit is an experienced international competitor in a wide variety of categories and has twice tackled the Total 24 Hours of Spa. 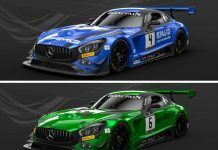 He will be joined by South African racer Jordan Grogor, who returns to the Blancpain GT Series following a three-year absence. Grogor started 10 events between 2012 and 2015 and also brings considerable experience of historic competition. The crew will be completed by 16-year-old Benjamin Goethe, who graduates from a season of Spanish F4 to contest the ultra-competitive Endurance Cup. Goethe is the son of experienced racer Roald Goethe, who himself competed in the Blancpain GT Series alongside Hall in 2012. 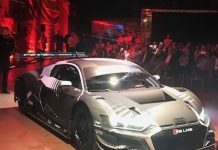 “We’re hoping to put on a good show in the Blancpain GT Series Endurance Cup, which is without doubt the toughest GT series in the world,” commented Hall. “It’s clear that we’re not there just to make up numbers! Off-track, the squad will be led by team principal Pierre-Brice Mena, a former racer whose experience includes a number of Blancpain Endurance outings.